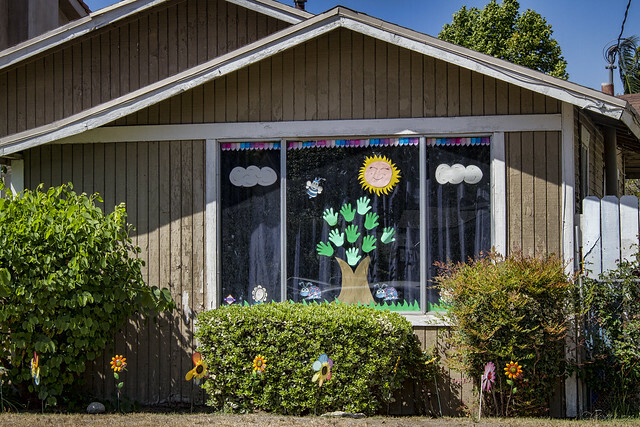 Although there is some yard art in this scene, it was the window art that caught my eye. I'm guessing that a teacher lives here. Clearly, there are some pretty fun ideas for schoolroom bulletin boards on display here. I thought first that it was a kindergarden. Anyway, it looks like a fun and happy place to be. If not children, some creative and arty adults have made this.